It’s kind of magical, right? 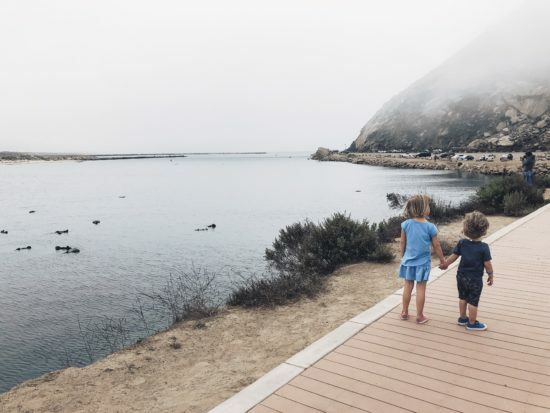 This easy and free kidventure is a great way to get outside with a few key stops while you’re there. Once you walk the Harborwalk, you’ll find several lookout points, a slatted boardwalk and a Class 1 bike path away from the road. Between you start at the Embarcadero to the parking lot. 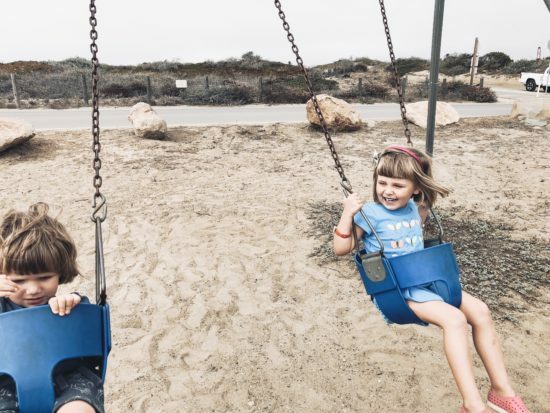 There are also two public restroom stops, a swing set and several lookout points with benches facing toward the calm waters. 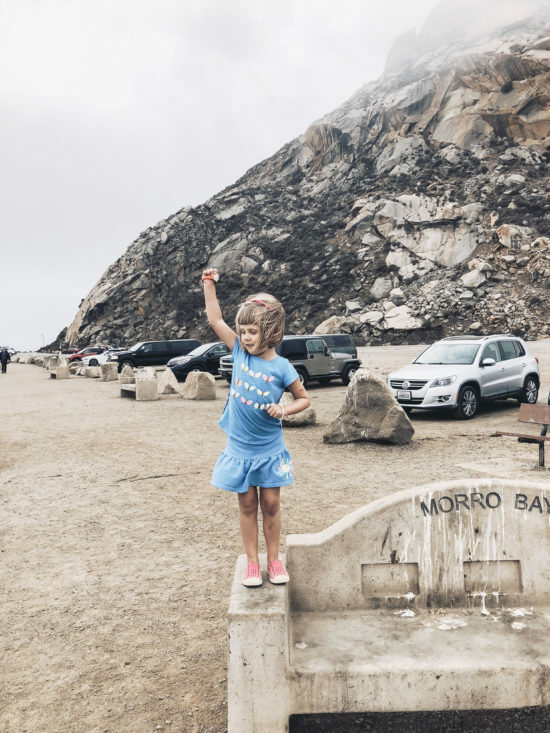 Embarcadero’s quaint string of gift/seafood/saltwater taffy shops to the iconic Morro Rock, the last in a line of volcanic earthly throwbacks reaching south toward San Luis Obispo. 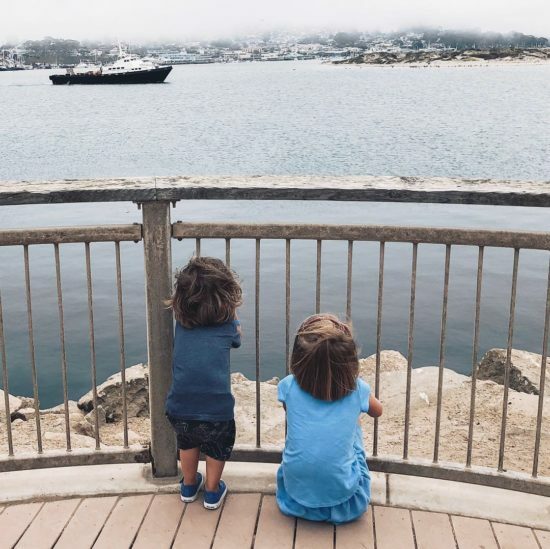 As a bonus, it has lots of lookouts and views of harbor boats! And if you’ve studied up on your preschooler story books, you’ll know them aaaall the boat names. And that’s it! Easy-peasy. 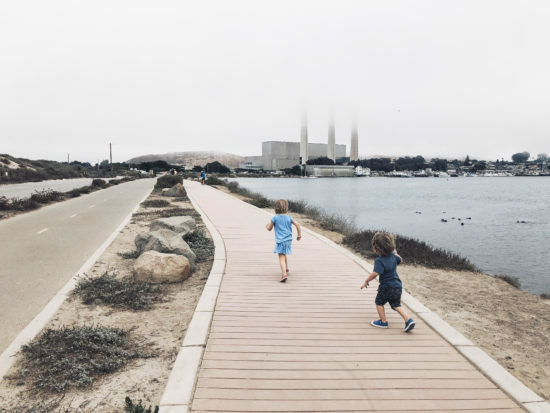 You could end your trip there, or go explore the Morro Bay Embarcadero which we detail in a Morro Bay Day Guide.